You have no idea how lucky you are. Instead of writing this blog post, I could have just opted to use my time to rewatch the new Netflix series Stranger Things. Heck, if this blog post stops abruptly, it’s because I decided to do just that – I popped some popcorn, slipped into my Chewbacca onesie, and just loaded up episode one again. So, as you might have guessed, I’m a huge fan. 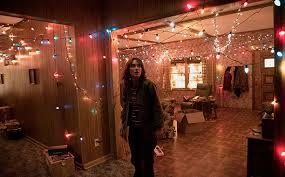 I don’t know what rock I was living under but Stranger Things came as a surprise to me. I had zero expectations going into this series, and then I ended up mainlining the entire series in one day. So! Who here is a child of the 80s? Cause this is a love letter written to the 80s. It’s ET. It’s Flight of the Navigator . It’s what Super Eight wanted to be if it was a series. The script and acting and overall look just feels like this was something created in the 80s. Fine, Stranger Things is hard to explain. It’s one of those series you need to witness. What I can tell you is that it’s a well thought out and plotted sci-fi horror drama with some pretty damn fine acting. Not everyone brings their A-game, but there is something nostalgic about even the poorly acted lines. There are plenty of twists and turns to keep you wanting to watch the next episode, and by the end you are left hoping they are planning a second season. I know, I know! I’m rambling. The thing is, I don’t want to ruin the series for you. I had no idea what to expect when I started it, and I fell in love with it so maybe you will too. If you like stories set in the 80s, love D&D nerds, enjoy crazy blinking Christmas lights, and some pretty solid CGI, then give this Netflix original a chance! So have you watched Stranger Things yet? Leave your review (and what game system you would use to play this at an RPG table) in the comments below! 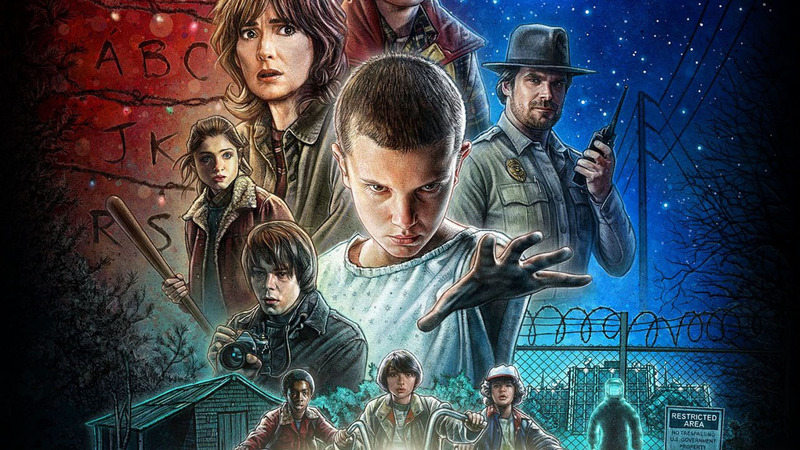 Stranger Things is a well-penned love letter to 80s cinema. Now, I’m no child of the eighties (being born in 1990), but I’ve been influenced a lot by films of that era and Stranger Things nails the aesthetic. That said, it’s appeal for me is not just the aesthetic alone, but the well-paced story and strong lead acting. I heartily recommend it. System wise, I’d go FATE or Cortex+. The show needs a system that handles more than combat, and both fate and cortex+ do an excellent job with their complications of allowing you to bring in damage that is mental and emotional instead of only physical. The relationships of the characters are a core of the series, so I’d want a way to bring mechanical weight to that aspect of gameplay. You could also give gumshoe a chance, as it is built for mystery and horror. I prefer a more narrative game, but you could do a lot worse (any edition of D&D would be worse). Steven – We’ve actually already said this would be a great Bubble Gumshoe storyline so good suggestion with the Gumshoe System. The other two systems you brought up would also work but they aren’t as perfect as Gumshow because I feel that being youths really would affect how much ‘battling’ you could actually do (heck, did the kids ever fight more than one and that was more pushing eachother around!). Oh, they fight all the time, just not with fists. Think about every time Mike and Lucas get into it over Eleven. Though I do admit that both fate and cortex+ have the assumption of competent characters and a pulp feel, so you might have to do a little work to make it better for kids as characters. It would likely suffice to limit your combat type skills by age group. No combat skills for the kids, low maximums for the teens, normal max for your adults. Fate also has the Fate fractal, which would be great for scenes in which the Heros end up in the lair of a monster or witnessing it leaping out at them. Not having read bubblegumshoe, my only concern would be the horror elements. Not many teen detective stories deal with terror on the level. It wouldn’t be hard to look to other gumshoe games for that mechanic if you desired to add it back in though, which is a big bonus. The wonderful thing about Bubblegumshoe is at the back of the core book are a series of Drifts – alternate play settings with some tweaked rules. There’s at least one, possibly two, that add in supernatural horror elements (I know one is a Scooby Doo-esque drift, and I’m pretty sure there’s one that lets you emulate Buffy, which would give you the right sort of additional rules for Stranger Things, I think). That’s also where we got the setting for the game we just posted this week, Veronica Base, Mars. The system is also excellent for pulling in parts of other Gumshoe systems – there’s a young superheroes drift that suggests pulling in the super powers from Mutant City Blues.